we have been playing in the garden. 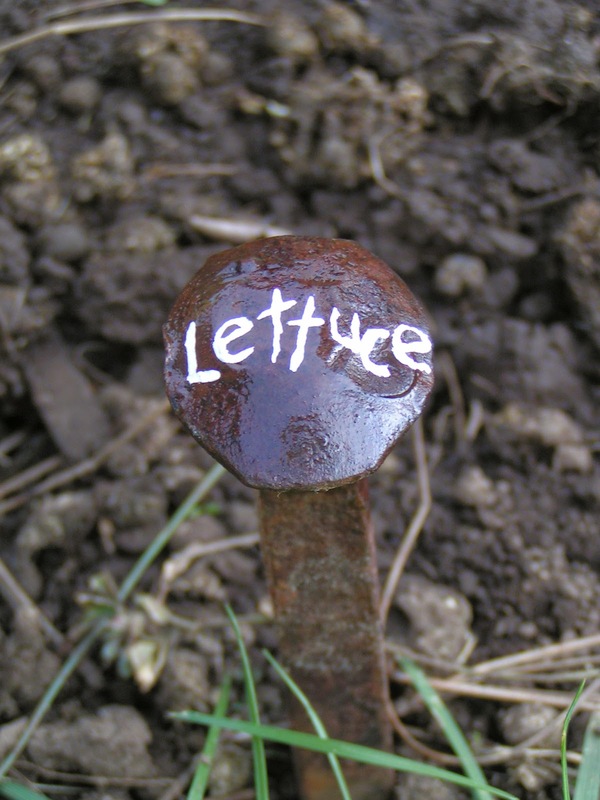 with the intent of using them as garden markers. but I guess I just forgot about them. then sprayed a clear sealant over it so it won't wash away. Mr. LB is having entirely too much fun. he went and got the wheel barrows and screen. He said, "I want to see how many rocks are in here." 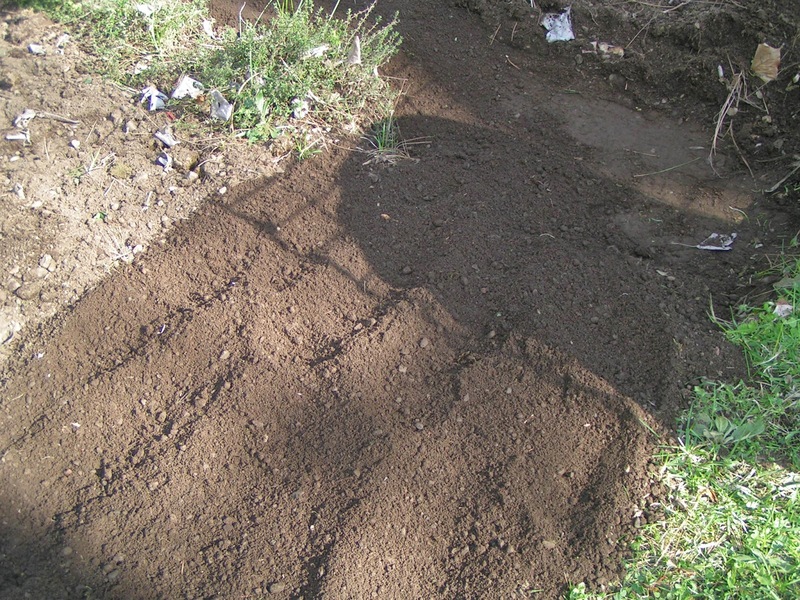 The soil is looking just beautiful. There really weren't too many rocks in this plot. smooths it all out, and sifts any weeds or roots. 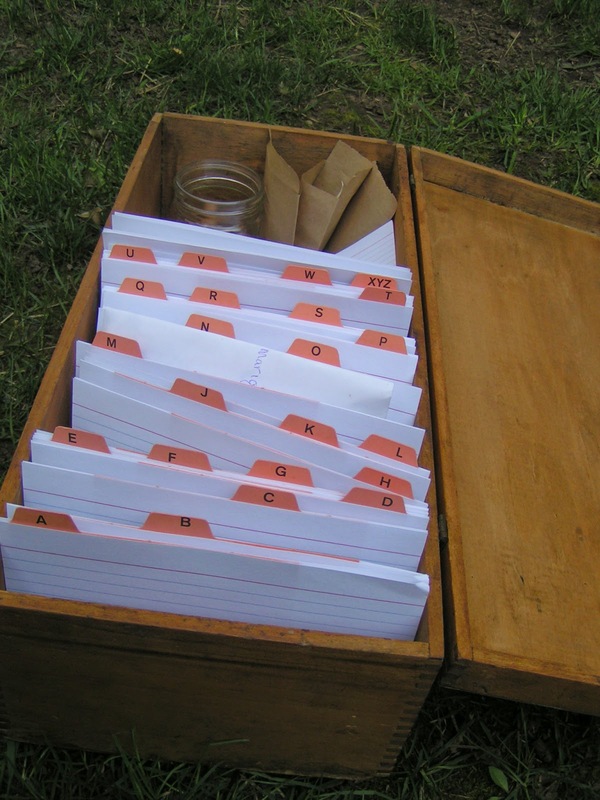 I FINALLY figured out something to organize my seeds. I had them in a regular little recipe box that was way too small. with the lined sides out so I can add notes. so that they fit in the box. There is now plenty of room for seeds of all kinds. So far it is working splendidly. depending upon what zone and moon phase to specific dates. It never makes 'real' sense to me. What I recently read came from an old-timer who was interviewed back in the 70's. 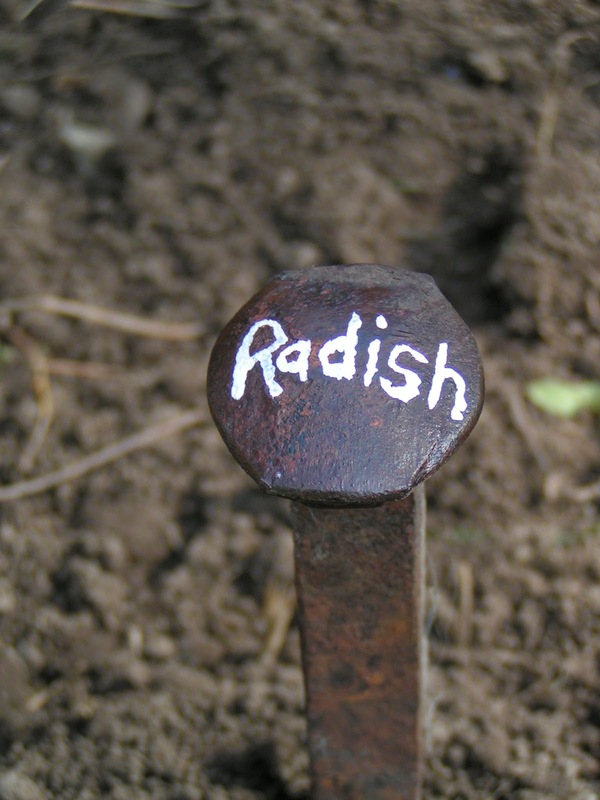 Plant underground things like beets, radishes, carrots etc. when the daffodils bloom. Plant squashes and legumes like cucumbers and beans when the apple blossoms fall. when the locust trees bloom. These things make sense to me. that was made by man and has changed a number of times. best of luck with your planting, the old man`s advice sounds good to me. Afraid the nearest I get to eats in the garden are the fruit trees and I pop dried peas just under the soil and they produce lovely pea shoots which I have with salad. Love the rail road spikes - so clever ! The advice on planting times is wonderful. I also remember to trim my rose bushes when the forsythia blooms. I love the idea of rail road spikes to identify what is planted where........they can be used year after year. 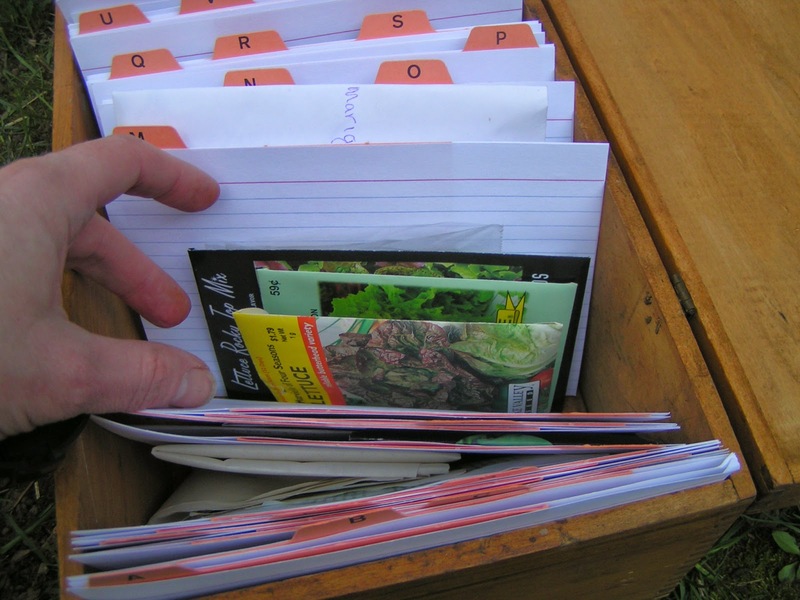 Love how organized your seed box is - I must try this idea. Love the row markers too! Thanks for sharing such wise gardening advice. The rail road spikes are an excellent idea... I will have to keep my eyes open next time I'm at the thrift and antique stores. 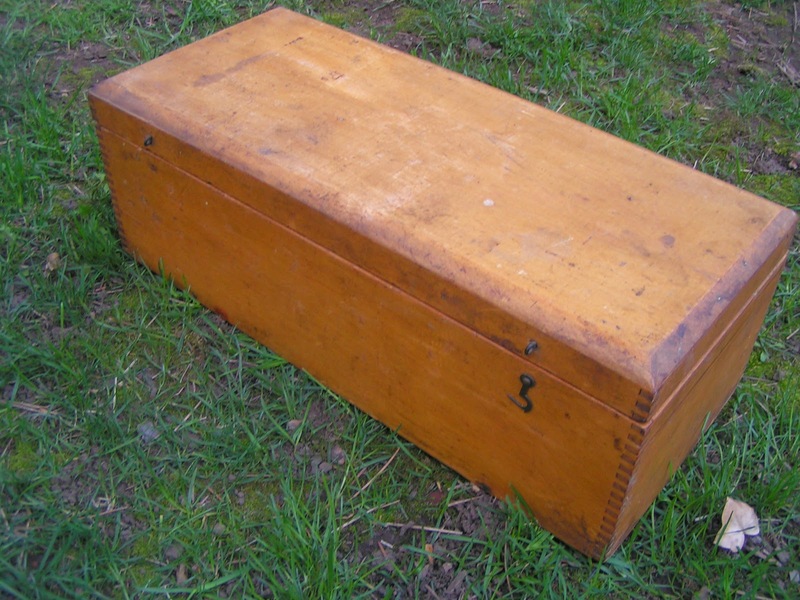 I also love your box.... I'm doing something similar in a couple of open-topped cardboard boxes, but your solution is much nicer.